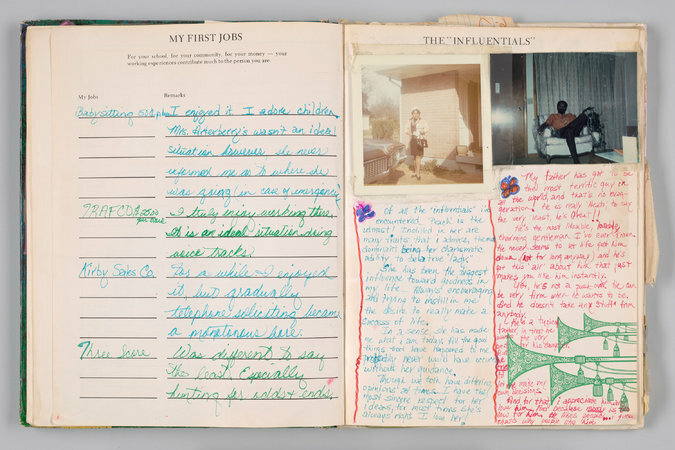 She and her thousands of hours of TV are now the subjects of a big, fascinating exhibition at the Smithsonian’s National Museum of African American History and Culture that captures what the show was, did and has meant. And it includes that Stevie Wonder moment, in a short montage focused on the show’s leap, in its final years, into lavish, thrill-a-minute mega-production. The installation — “Watching Oprah: The Oprah Winfrey Show and American Culture” — is what can only be called so Smithsonian: a mouthwatering, heartwarming, eye-opening, foot-aching conflation of biography, anthropology, sociology, nostalgia, history and insight (about culture, race, gender, technology, media, education, consumerism, economics, beauty, fashion and the law) into a potent dioramic spectacle. You leave it with a fuller understanding of Ms. Winfrey’s rare determination to matter to everybody and in awe of how acutely she still does. That bit with Mr. Wonder lasts about 15 seconds in the montage. But it sticks with you. For one thing, it exposes something endearingly normal in a woman, who as a very famous TV host, could presumably have had Mr. Wonder pop out of any floor anytime she wanted. For another, the women in the audience (thousands of them, black and white; I didn’t spot a single man) leap and shout and wail, with their arms in the air, in a dozen different ways, from “Lotto win” to “praise Jesus.” They’re going nuts for Mr. Wonder, obviously. But they might be more ecstatic about the joy he’s bringing Ms. Winfrey. This isn’t a cult, exactly. It’s a living, screaming symbiotic social network. Affirmation and intent became muscular cornerstones of the “Oprah Winfrey” enterprise. When she banged the “like” button, her vast constituency banged on it, too. 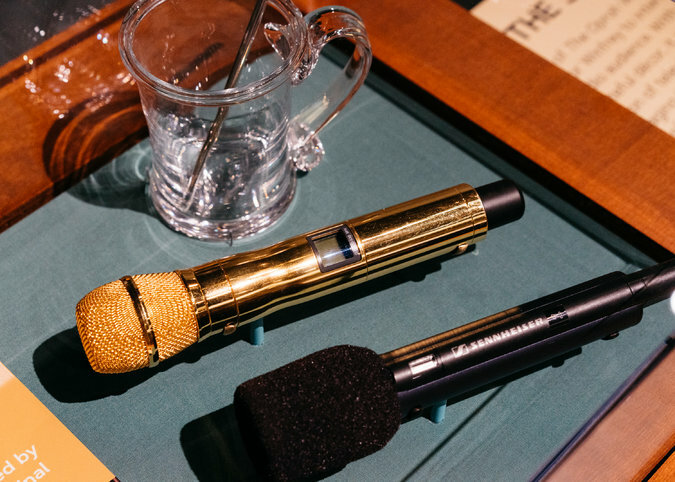 The show’s been off the air for seven years, and we miss it: More than a year before “Watching Oprah,” Chicago’s WBEZ released the podcast “Making Oprah,” a delicious behind-the-scenes casserole that Jenn White served with a fan’s appreciation and a critic’s forensic eye. And Ms. Winfrey hasn’t disappeared at all. Since “Oprah” went off the air, Winfrey has evolved into an even more instinctive screen actress, for one thing. She’s written books; she’s vividly alive on Instagram, her cable network and wellness podcast; and she looked supremely tickled to be at Meghan Markle and Prince Harry’s wedding last month. And yet, if America can’t actually miss Oprah Winfrey, it might miss an idea of her. As “Oprah Winfrey Show” Oprah, a totem of humanity, respect, largess and fun. As a figure of immense, almost assaultive generosity, who could unleash, in us, bombastic yet utterly sincere gratitude. Many a desperate “O”-shaped Bat signal has gone up in the last half-dozen years, and in January, the country believed she was answering it. That’s one way to interpret the thunderous response to her speech accepting the Cecil B. DeMille Award for lifetime achievement at the Golden Globes. Oprah for President! As oratory, the moment really was electrifying. She endorsed the evening’s gender-equity platform, in part, by telling the story of Recy Taylor, a black woman from Alabama whom white men repeatedly raped one night in 1944. She denounced the coarseness of our national moment by praising the news media. Her pulpit gravitas would have brought down the house at a political convention. But the speech wasn’t enough. People seemed desperate to work themselves into Oprah 2020 fever. To the extent that “queen of daytime” is any kind of office, it’s one Ms. Winfrey has never abused. She loves people, and she seems to understand the intensity of people’s love for her. But people also love power, and Ms. Winfrey’s display of it that night (and perhaps a New York Post column she retweeted) sparked pandemonium for her to ride it into Washington. President Oprah was fantasized about as an antidote to a caustic, whimsical president: the woman with the extensive “angel network” taking on a master Twitter troll, one television genius locking horns with another. But the Smithsonian show leaves you thinking that she’d probably expect better fantasies from us. It makes you think she might be too good for whatever a candidate would have to do or say in this political climate to be elected president of anything. You’ve walked through the replication of the short, declining hallway Ms. Winfrey trod to get to the stage. It opens into the space devoted to the show itself — a pair of armchairs on a platform in front of a big monitor that plays a six-minute highlight reel. 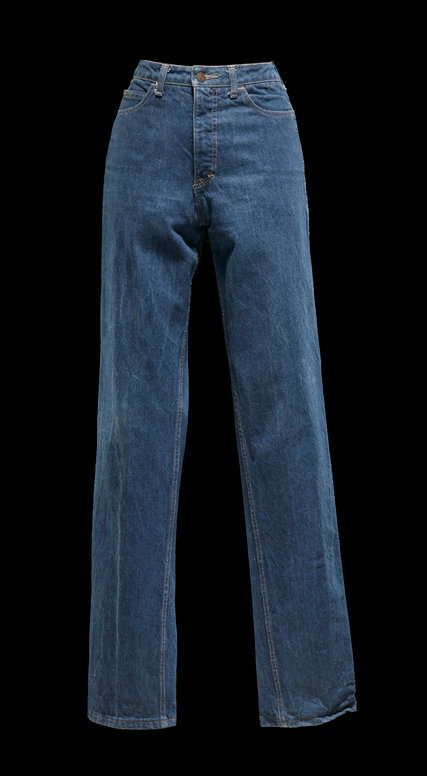 You’ve seen the large, almost sentient, encased Sony TV camera and the signed guest books and a copy of one of the show’s look books and some of Oprah’s actual outfits: the black turtleneck and leather pants she put on for Tina Turner, the gown from the DeMille speech, the legendary Calvins she wore the day she unsheathed the slim new figure that would vaguely haunt the show. You’ve stood aghast before the giant wall printed, randomly, with every single one of the show’s 4,561 titles and airdates. “What Do You Stand For?” (4/24/00). “Tipper Gore on Depression” (6/22/99). “Wives Confess They Are Gay” (10/2/06). “Men Who Can’t Be Intimate” (7/21/88). “Sexual Abuse Ramifications” (4/14/88). “Jennifer Aniston and Beyoncé” (11/13/2008). “How Safe Is Your Home When It’s Alone” (12/1/06). “Cooking With Patti LaBelle” (7/2/99). “Donald J. Trump” (4/25/1988). “Are You Normal? Take the Test!” (12/1/2010). “What Is a Wigger?” (9/9/93). “How to Use Your Life” (4/10/00). You’ve noticed that the wall seems to reach to an absurdly illegible height. It could double as the meanest vision test of all time. There’s a lot here. And you depart it all mystified by the absurd contradictions that Ms. Winfrey’s achievements reveal about this country. 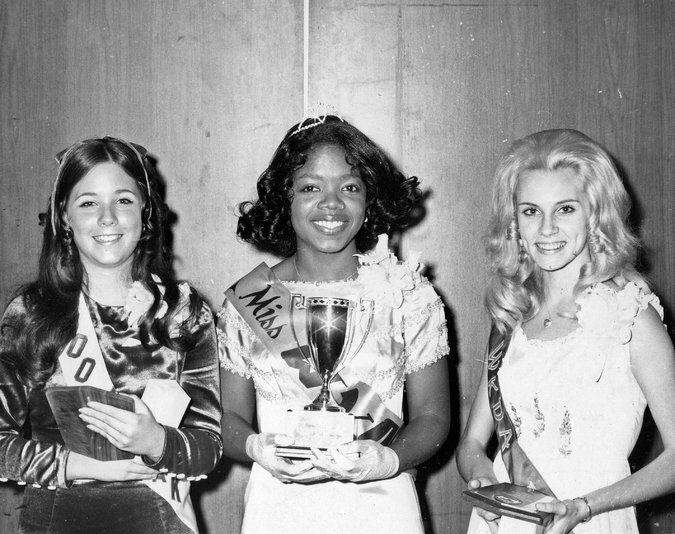 Here’s a black woman who grew up poor in the segregated South and became the country’s first black female billionaire. 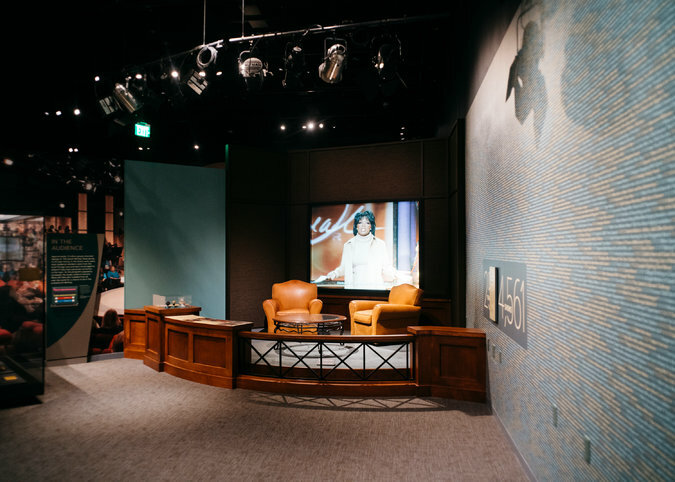 Her prosperity inspired others to prosper, yet “Watching Oprah” is situated not far from the museum’s moral and scholastic centerpiece (“A People’s Journey”), a devastating odyssey down into — and then up out of — the creation of the United States from slavery, racism, revolution, innovation, hard work and good luck. She doesn’t seem to know how she made it, but like a lot of successful Americans, she appears to have moments when she can’t entirely believe she has. You wonder whether the show’s integrationist philosophy arises from its host’s having been raised, reared and professionally trained in Milwaukee, Mississippi, Tennessee and the broadcast environs of Baltimore and Chicago. Just geographically, Ms. Winfrey is intersectional. But it also explains something like the trip the show took in 1987 to Forsyth County, Ga., after it purged itself of nearly all its black residents. She wanted to know what about black people so scared the white residents, and she keeps having to remind the racists in her audience that the woman interrogating them is also black. Ms. Winfrey contributed more than $20 million to the sponsorship of the museum. So there’s an urge to distrust the intent of an exhibition like this, to say that she bought it. But her museum donation doesn’t seem at all like vanity. It’s “how to use your life,” “what do you stand for” money. Across from “A People’s Journey” sits the Oprah Winfrey Theater. Maybe she paid for a piece of that. Anyway, our tax dollars are hard at work here, too. So Ms. Winfrey just paid a little more than I did. Nonetheless, “Watching Oprah,” in its uncompromised captioning, goes out of its way to remind you about the chronic dissatisfaction, among some black people, with the lack of attention to the crises of black America. 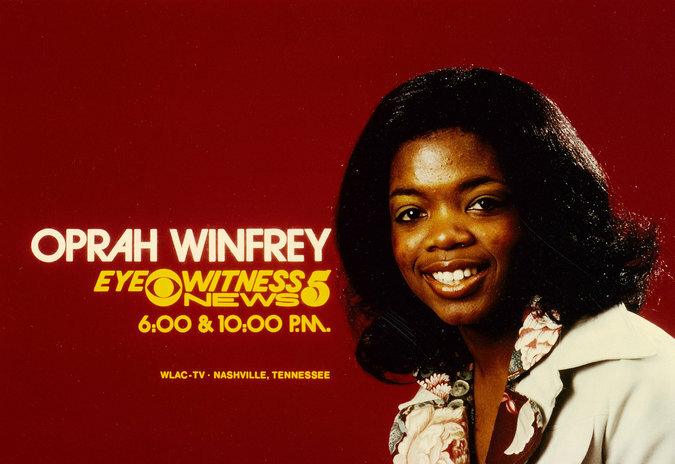 The show includes a 1986 letter from a black woman upset that Ms. Winfrey didn’t call on her during a broadcast because she didn’t “look like an ugly, fat, uneducated, frustrated black woman which is typical of the majority of the women you allow to speak on your show.” If that was ever true (suburban white women made up its biggest demographic), it wasn’t that way for long. ONE PROBLEM WITH being really good at your job is that people won’t let you stop doing it. But you watch enough of these montages and realize two things. First, “Watching Oprah” needs a lot more of “Oprah” to watch, more clips, segments, whole episodes, something. Second, Oprah didn’t do this work alone. She helped us do it. She was a platform. She was Facebook. Forget the presidency. She was the facilitator in chief. The more she empowered us to speak, the better she got at knowing how her emotional algorithm could supply us with books and feelings and tools for betterment. And she took real risks to better understand this country, too. That Forsyth County episode might have been a stunt, but it’s more audacious than Geraldo Rivera’s dragging millions of Americans into a bloody brawl with skinheads the following year. “Watching Oprah” doesn’t privilege any one episode over any other. So it’s hard, at first, to see what exactly it is about the show that matters. But then you think about that massive wall of episode titles and how it’s impossible to take it all the way in. And that incomprehensible vastness seems perfectly right, both for the enduring vitality of the show itself and the woman at its center.